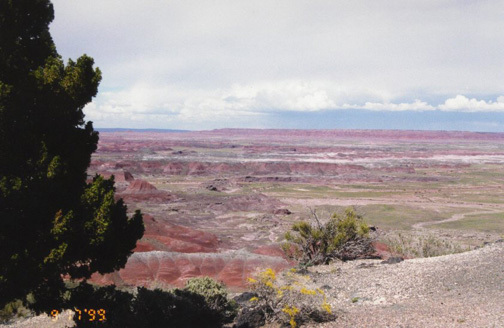 located along the Little Colorado River. 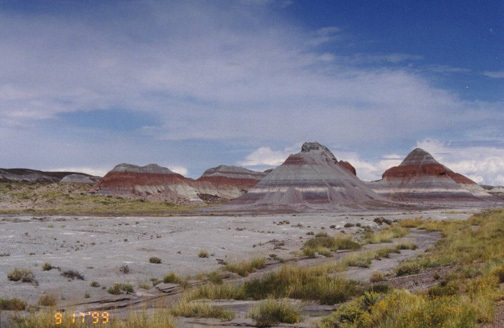 It extends southeast from the Grand Canyon to the Petrified Forest National Park, reaching a length of about 320 km (about 200 mi) and covering an area of about 19,400 sq km (about 7500 sq mi). 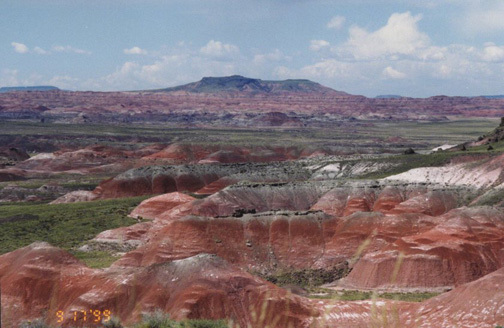 The terrain is irregular, characterized by buttes, mesas, cliffs, and slopes. 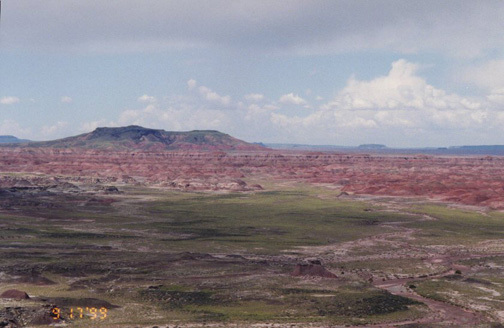 The central portion of the plateau contains parts of the Hopi and Navajo Native American reservations.